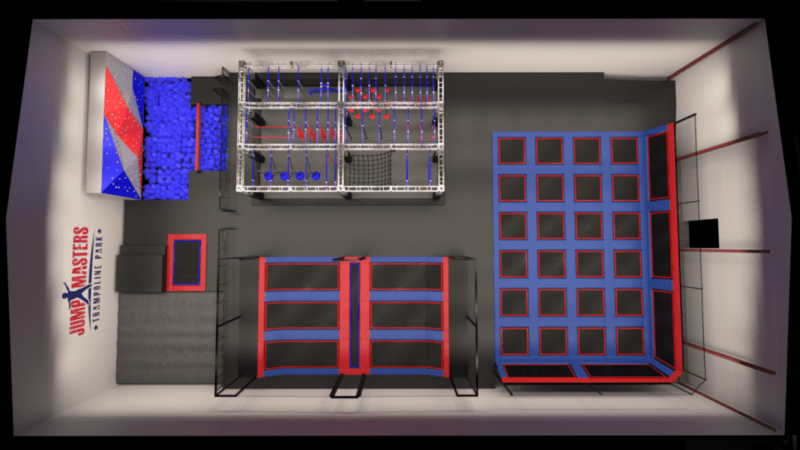 There will be three American Ninja-style obstacle course lanes, suitable for all ages, climbing walls, a trapeze swing where one can let loose and land on a large airbag, a foam cube pit and sparring with foam pugil sticks in cushioned gear. There’s a new family-centric business coming to the Outer Banks and we’re betting it’s going to be a regular destination for parents from Currituck to Columbia. Jumpmasters Trampoline Park is slated to open the first week in June at the old Griggs Lumber site in Manteo. For those not in the know, trampoline parks have become one of the most popular family entertainment activities in the country and in the process, they’ve surpassed roller rinks and other indoor venues when families look for an activity that everyone can enjoy. Outer Banks residents and visitors can thank a young Army officer, Brent Johnson, for bringing Jumpmasters to our community. And judging by the buzz on social media, where Jumpmasters already has over 1,000 followers on its Facebook page, this venture is already a hit before the first customer takes that first jump. We sat down with Johnson at a Manteo coffee shop to learn more about what brought him to the Outer Banks and what locals can expect from the new center. Johnson explained that there are two buildings on the old Griggs site. The front building will house offices, a reception/sig- in area, concessions and party rooms for birthday gatherings and other celebrations. The real action will take place in the rear building, where customers can find an almost overwhelming choice of activities. First, there are the trampolines, which are not the kind we would see in gymnastic competitions that sit almost four feet off the ground. These are ground level and surrounded by padded floor/deck space. The mechanisms that provide the bounce are beneath the bed, so there’s no worry about springs or hard landings on floors or the ground, which are common on traditional trampolines. 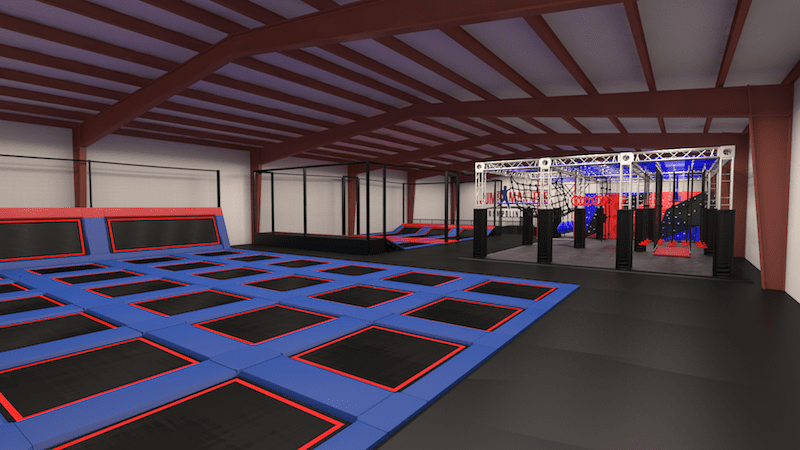 Jumpmasters will feature trampoline dodgeball, and in the winter, will sponsor adult and youth leagues. In dodgeball, the players compete on trampolines that are screened in and they can use bouncing to escape or attack the ball. Fitness classes will kick off each day from 7 to 9 a.m., followed by a Toddler Time, where the younger set can play without competition from their older, and bigger siblings. The rest of the day will be open jumps. Food will be served in the front building and will include pizza-by-the-slice from a local pizzeria, hot dogs and nachos. Johnson is also applying for a text amendment from the county that would allow local food trucks and wagons to offer food on his site. At the time of the interview, Johnson was still an Army officer with 30 to 40 days left before he was to leave the service and join civilian life. He will leave the Army as a major. It turns out that the business name, Jumpmasters, has a very real connection to Johnson — he is a certified Army jumpmaster. Lauren Daniels Johnson, June, 6 mos. ; Ellwood, 5; Brent Johnson; and Waylon 3. A self-described ‘Army brat’, Johnson moved around in his youth but spent most of his life in Germany and Hampton, Virginia. He graduated from Phoebus High School in Hampton and then attended Old Dominion on an ROTC scholarship. He graduated with a B.S. in Business Administration. “She’s a Daniels from Wanchese, part of the family that relocated to Hampton when the family fishing business expanded there,” Johnson added. His military career took him to several places, including stints with the Army’s 3rd Special Forces Group and serving as a company commander in the 82nd Airborne Division. Johnson has been deployed twice to Afghanistan, where his specialty was combat engineer. He and his wife have three children, two boys 3 and 5 years old and a 6-month old daughter. 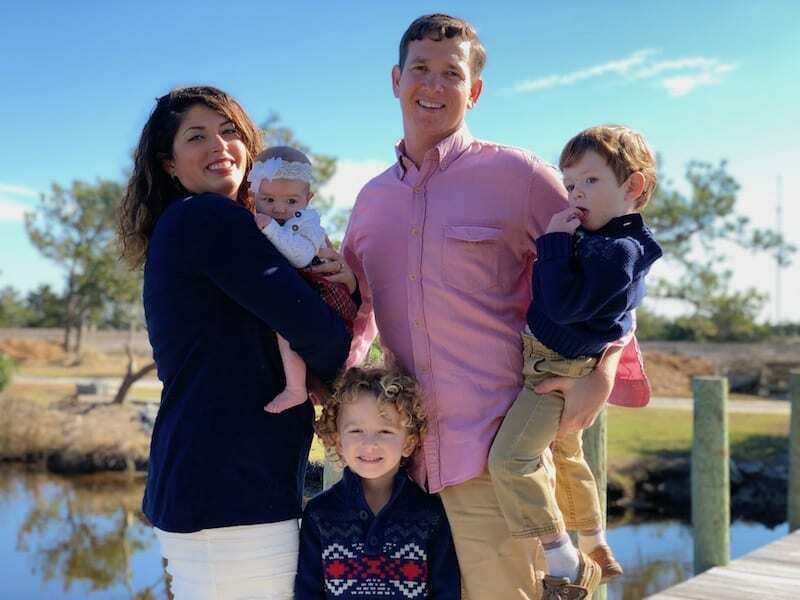 During his 10 years in the Army, Johnson also added two graduate degrees to his resume, earning Master’s Degrees in Engineering Management and Construction Management. His final duty assignment brought him to the Outer Banks where he was working on his second masters at East Carolina. He decided to become an entrepreneur listening to his favorite radio station; the Wharton Business School channel on Sirius XM, which devotes much of its programming to entrepreneurial studies. Johnson also credited Matthew Byrne of the state’s Small Business and Technology Development Center for helping him formulate his business plans, as well as Kenny Marshall at First Bank. Jumpmasters will soon be hiring staff for their first season. Johnson expexts to hire four full-time and 30 to 40 part-time employees and he wants to hire as many veterans and locals as he can. Brent Johnson is one of those people you meet and you immediately know he’s sincere, hard-working, honest and exactly the right kind of person to operate a family-centric business.